Throughout the course of Anathema’s career they have progressed into something that has left some fans speechless, and others angered. 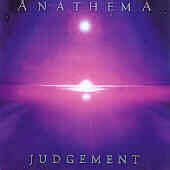 From album to album Anathema have been searching for a sound that fit themselves as a band, and "Judgement" is an album that shows the band at their top performance. "Judgement" is nothing less than astounding. It is an album that is laden with emotion and is displayed by musicians who have outdone themselves with excellent compositional skills. From start to finish "Judgement" is a seamless album, never staggering once or twice. This is an album that will always make you feel like you need to listen to it in its entirety. It seems like it is near impossible to ever be distracted from the music or the mood that it puts you in. Vocalist Vincent Cavanagh has improved is performance and is confident in his vocals and they come across as strong and convincing. Guitarist Danny Cavanagh does an excellent job. Many people can play Anathema’s music, but few can play it with the emotion and strength that he does. Everything from keyboards, to guitars, to piano all come together to make this a great album. Albums like Anathema’s "Judgement" are rare. Not often do bands accomplish what Anathema has by creating an album that is beautifully textured and is filled with songs that are each distinguishable but ride upon one another to create a listening experience. "Judgement" is an album that needs to be experienced by all, and I am confident in saying that this is one of the finest releases of any recent decade. Bottom Line: For anyone ever claiming to love music, you should give "Judgement" a welcoming listen. When all you metal maniacs out there are done getting chainsaw earjobs from the likes of Hatebreed and blister mongers Vader, wind down with Judgement. Upon my initial listen to some of the tracks on this album, I was ready to start grinding my teeth, for I was looking forward to hearing some new and inventive higher evolution of metal. Judgement doesn’t really qualify as metal. As the tracks played on, I was able to readjust my expectations of the music so that I might give it an even chance. The record minds me of a band that while kicking aftermath ashes from a seldom trodden path has decided to raise from the dead the Master of Melancholy, Jeff Buckley, to produce their homage to the casualties of the war they have left behind. OK, that said, what I mean is: this is one really emotionally laden album riddled with grief and softer tones. Though the atmosphere provided may be Floydian, I cannot concur with the many others who claim that this album is comparable to Wish You Were Here. You can easily feel the emotion bleeding through Cavanaugh's warm but grief stricken vocals. This is an end-of-the-party album… or just a very personal one. Bottom Line: Though it is sure to instigate the fragile emotions of a 14 yr. old, causing him to place a black towel on his head and sob to himself in a ring of candles behind locked bedroom doors, Judgement is not to be taken lightly. It is a well-crafted piece of smooth melancholy art. 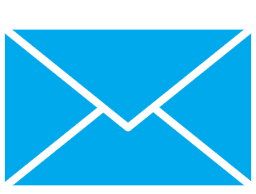 Post-Script: I believe that album reviews should be made based on the content of an album, not the surrounding circumstances under which it was made. Nevertheless, I wish to offer my condolences to the Cavanaughs on the passing of their mother.